Friday, May 29th, the party is in Plymouth with The GroovaLottos making their monthly visit to the Cabby Shack!!! 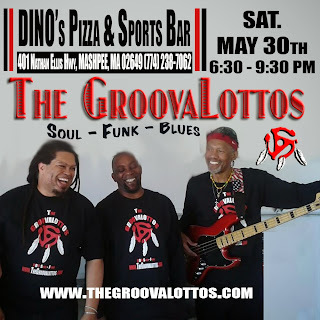 The party continues Saturday evening at Dino's on Deck in Mashpee!!! Riley B. King, known to the world as B.B. (Blues Boy) King transitioned to the ancestors last night at the age of 89. Said to be of Choctaw and African heritage, Mr King was born to a share-cropper family in Berclair, Mississippi. Raised by his maternal grandmother, King took up the guitar at age 12 and went on to be the King of The Blues as well as one of the Three Kings of Blues Guitar (Albert King and Freddie King). The GroovaLottos are saddened by Mr King's passing and thank him for his legacy. 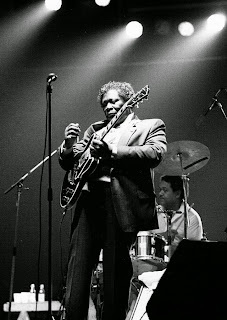 Wishing Mr Riley BB King a peaceful journey.